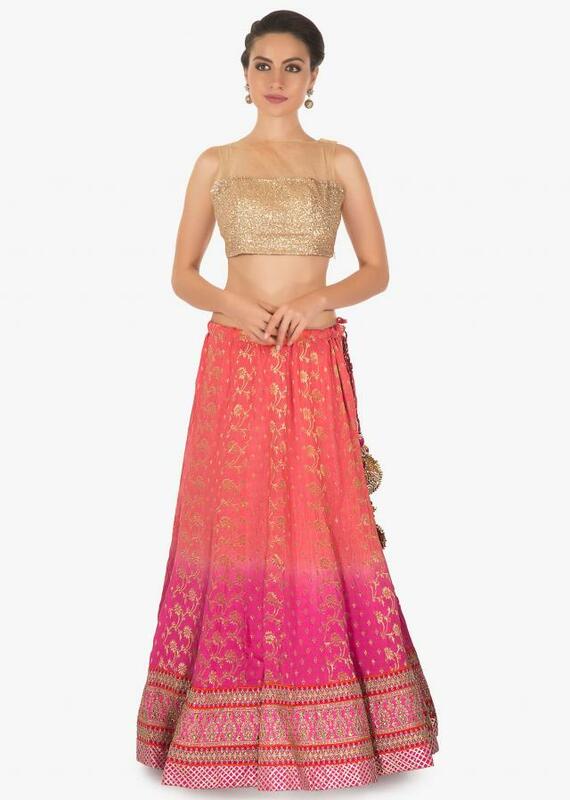 https://www.kalkifashion.com/peach-pink-brocade-lehenga-detailed-kundan-and-gotta-lace-border.html 18495 Peach pink brocade lehenga detailed kundan and gotta lace border https://d8evit4zy2nlo.cloudfront.net/media/catalog/product/p/e/peach-pink-brocade-lehenga-detailed-kundan-and-gotta-lace-border-436583_5_.jpg 249 249.0000 USD OutOfStock /Lehenga Choli/Bridal Wedding Lehengas /Lehenga Choli/Sangeet Lehengas /Lehenga Choli /Lehenga Choli/See All... /Lehenga Choli/Bridesmaid Lehengas /Collections/The Brocade Bash Peach pink brocade lehenga detailed kundan and gotta lace border. 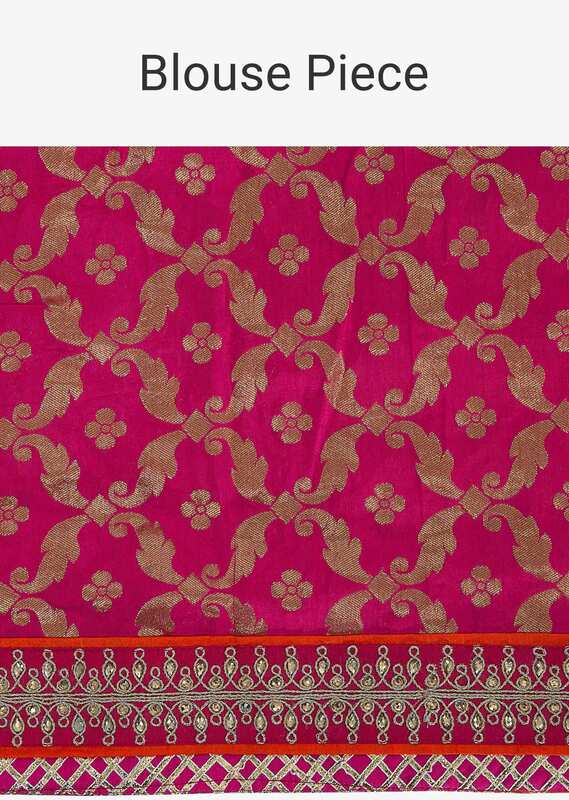 Red dupatta with fine kundan gotta patch embroidery. 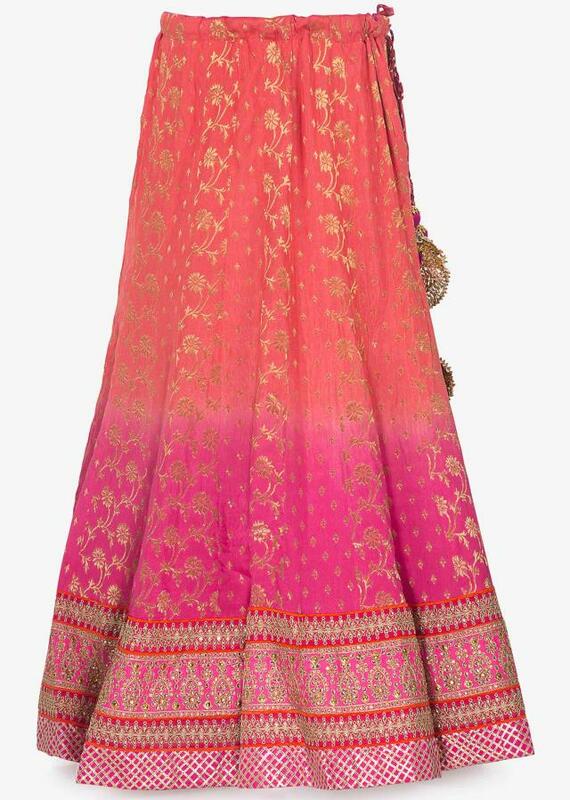 Lehenga with exquisite gotta. Peach pink brocade lehenga detailed kundan and gotta lace border. 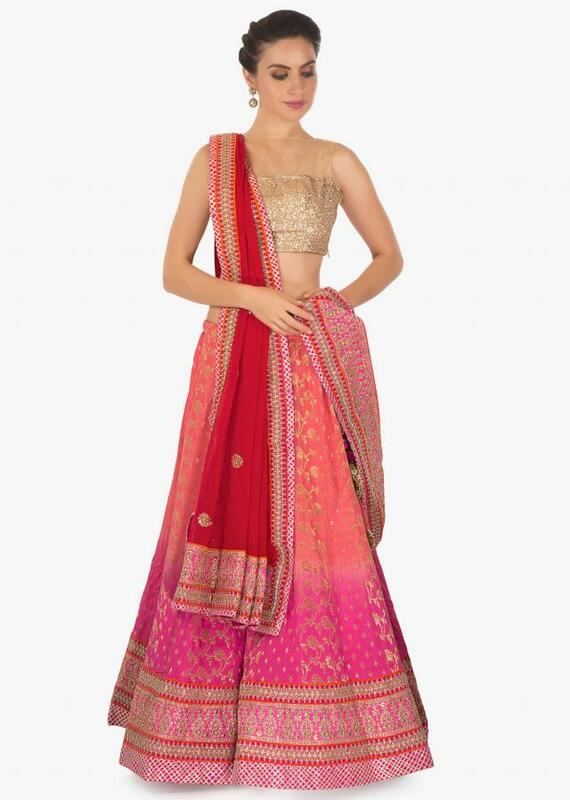 Red dupatta with fine kundan gotta patch embroidery. 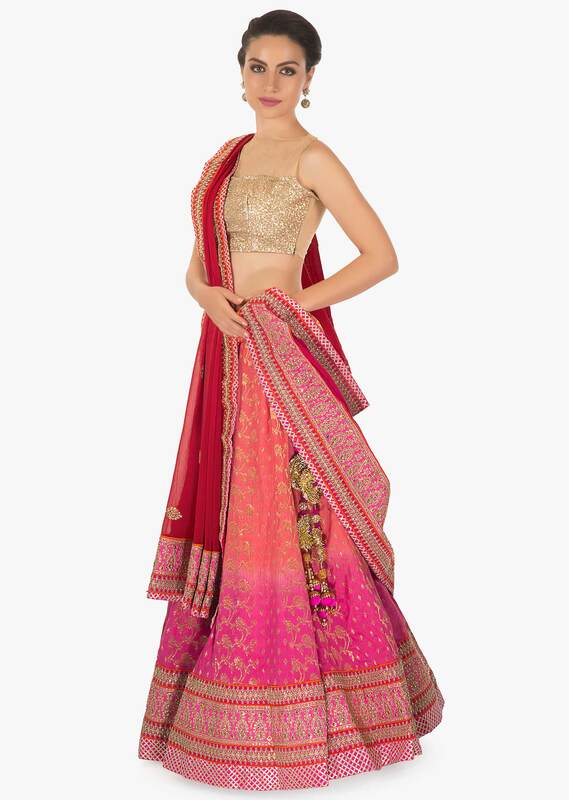 Lehenga with exquisite gotta lace border. Available with unstitched pink brocade blouse and kundan and gotta lace border.